One of today’s World Cup matches is Uruguay vs. Costa Rica. It doesn’t seem like much of an even match, however. Uruguay claimed 6 wins in the qualifying season while Costa Rica came up with zero, and scored only about half as many goals as its competitor. While the soccer match between the two countries should still prove exciting, we’re also pretty revved up about our own World Cup of Cars competition between Uruguay and Costa Rica. Who will come out on a top? 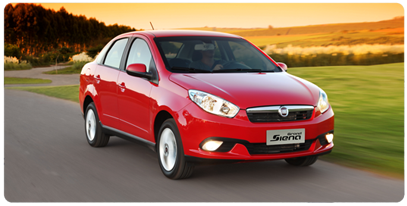 Playing for Uruguay is the Fiat Siena. While Fiat is a brand known here in the United States, Siena is traditionally associated with Toyota (although the spelling is Sienna). The Fiat Siena, however, has been around since 1996. It is not produced in Uruguay but remains one of the most popular vehicles there. The Grand Siena, the second generation, was released in 2012, alongside the regular Siena, which remains in production. 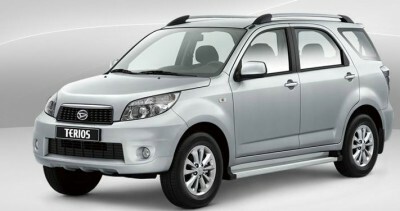 The Daihatsu Terios, however, is the star of Costa Rica’s team. Like the Siena, the Terios is not manufactured in the country for which it plays but is one of the most popular models there. The mini SUV is equipped with either a five-speed manual gearbox or a four-speed automatic. Specs are hard to find, mostly because Google Translate doesn’t know its Japanese very well. On looks alone, however, we’re going to hand this trophy of the Uruguay vs. Costa Rica match to Costa Rica for the Daihatsu Terios. You can check out the real World Cup Uruguay vs. Costa Rica match today at 3pm EDT on ABC.